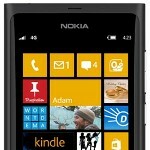 Home / News / nokia / Nokia Lumia 510 / Nokia Lumia Windows Phone 7.8 / Windows Phone 7.8 Will be Rolled Out in "Coming Weeks" ? Windows Phone 7.8 Will be Rolled Out in "Coming Weeks" ? Back to one week ago, we heard a news that The Head of Nokia Asia Pacific Developer Relations informed about Windows Phone 7.8 update for all devices of Windows Phone 7.5 will be RTM (Released to Manufacturer) this week. If already RTM, We expect that the Windows Phone 7.8 will be rolled out in the next few weeks (depending on your carrier). Later this week, we also heard a news from China that Windows Phone 7.8 will be rolled out in the "coming weeks. Vice President of Microsoft Corporation for Greater China said to Beijing Newspaper that "Windows Phone 7.8 update will be launched in Chinese market the coming weeks and that the two major editions would co-exist in China simultaneously." So, from 2 credible sources, we assume that the Windows Phone 7.8 update will be rolled out between December 2012 until January 2013 depending on your carrier & region. Stay tuned for more update, we'll keep you posted for this information.